Hi guys! As you all know I am an advocate of traveling even when pregnant. 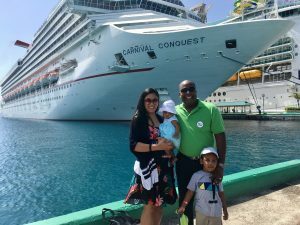 I traveled to several countries when I was pregnant with my 2 kids. If you are hesitant/wary because of the symptoms, here are my tips on how to survive flying with morning sickness. 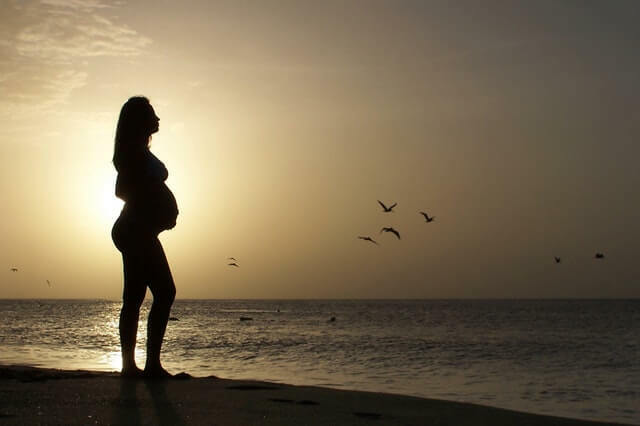 Moreover, one of our contributors will give you more reasons why you should travel even when pregnant. Let me know your thoughts! If you’re pregnant for the first time – or even the fifth – you may decide to put all of your travel plans on hold. After all, traveling when pregnant is a big no-no, right? Wrong! 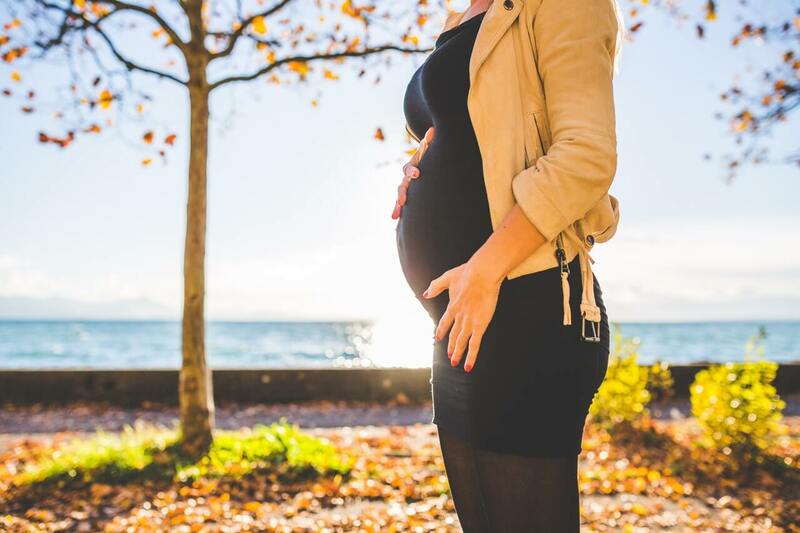 In fact, there are plenty of reasons why you definitely should travel when you’re pregnant (provided you’re fit to do so!). Here are just five of them. Being pregnant can definitely take its toll on the body – and the mind. Where possible, you should take as much time as you can to relax and put your feet up. Luckily, heading off on vacation can help you do just that. As long as you pick the right time to go and the right destination, then traveling when pregnant is an ideal way to get some R & R. The second trimester tends to be the best time to travel, as you’re less likely to feel unwell and you aren’t too close to your due date. You and your partner are soon to have your life flipped upside down, in the best possible way. It may be that you don’t get a date night for the first few months of your newborn being here, so it’s important to spend as much time together as possible before the baby is born. Traveling somewhere new together will give you the chance to bond and fall in love all over again. It’s one of the reasons why babymoons have become so popular in recent years. There are so many different places to visit, cultures to experience, and food to dig into… why wouldn’t you want to travel? If you already had travel plans before you found out you were pregnant, then this definitely shouldn’t put you off. There are some things you might not be able to do, like go on roller coasters or eat certain foods, but there really is nothing holding you back from seeing the world just because you’re pregnant. Imagine explaining to your little one what kind of adventures they went on before they were even born! If you’re planning on traveling while pregnant, then consider putting together a scrapbook of all your trips and memories. Then, when your child is older, you can show them which parts of the world they visited before they were born. 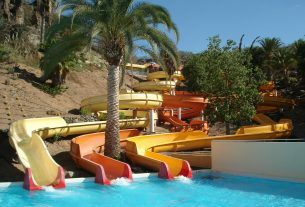 You can then add more photos and memories of the trips you make together as a family. What could be better than that? Unless you’re planning on giving birth abroad (which is a fantastic thing to do, by the way), then you’re probably going to want to travel as much as possible before you have a newborn. While it’s not impossible to travel with a tiny baby, it’s good to squeeze in one more trip before they arrive. For things you need to consider before giving birth abroad, read here. 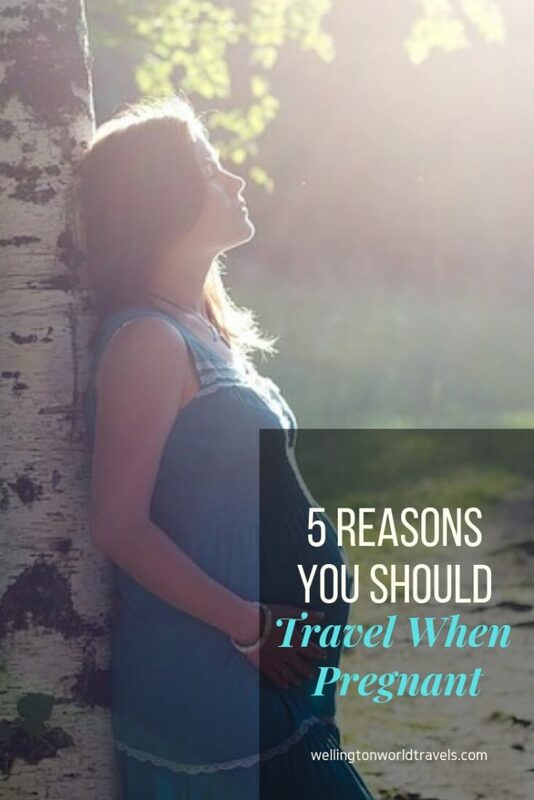 Do you have any other reasons to travel when pregnant that should be added to this list? Let me know in the comments. Author’s Note: All content, including medical opinion and any other health-related information, is for informational purposes only and should not be considered to be a specific diagnosis or treatment plan for any individual situation. Use of this site and the information contained herein does not create a doctor-patient relationship. Always seek the direct advice of your own doctor in connection with any questions or issues you may have regarding your own health or the health of others. This guide helps take care of my wife in pregnant time traveling. Thanks a lot. Thought-provoking article. I’m glad I read it. Thanks for sharing. True. When my wife got pregnant, we traveled almost every month. I always want to travel so thank you for reminding me that I can still travel if I fall pregnant at any time. Yes, you can. As long you are fit to do so, don’t let it stop you! I always thought pregnant women are fragile and should not be exposed too much in public. I think it is case to case basis depending on what your doctor advises you. Correct. I had some complications at first. But as soon as my doctor told me I was fit, I was traveling the next day! Twins? wow. I actually wanted to have twins. I had some complications during my second pregnancy and was on bed rest. But as soon as my doctor cleared, I was out! I was on the airplane the next day. lol. I never really thought about it like this. I would always assume that travelling could be a really difficult time when pregnant, but it does allow for a lot of relaxation. It has its cons and pros. Still a rewarding experience. You are amazing! I am a traveler and I hope one day should I decide to have my own family, I can still continue exploring places. Although there will be changes because I will now have other important priorities but still I want to entertain places to go. Thanks for sharing some insights as well. I totally understand. We travel less now because we also have other important priorities. But our ‘priorities’ changes every time, right? Your number 1 priority now may not be your priority next year. Plus traveling will always be there. 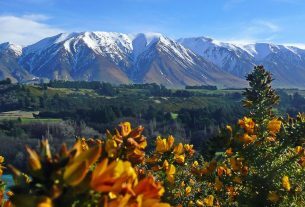 These are all great reasons to travel! I know people who travel up to 2 weeks before their due date and love it! I believe that first time mothers are a bit more hesitant to travel, but you definitely showed why people should! Wow! 2 weeks! That’s cutting it close. My last travel was on my 33rd week. I agree. First time moms have more worries and uncertainties. A refreshing view on travelling when pregnant. I do understand the risks of having complications when abroad, but if health is good and you still have plenty of time before a due date, then mothers should still travel. More so after reading this! I so much love this post because am always scared of travelling when pregnant, but with this, my fears are gone. So am in for some adventures. Being scared is normal. You are carrying another human being. There are risks. But if you know you are healthy and the doctor says ok, You can do a short trip or a road trip. You’re truly an inspiring adventurous mom traveler. They said that there’s never a dull moment with an adventurous person and i think it’s true when you embark on an adventure with them still in your tummy. I imagine you telling them all those thrilling stories….I mean, most i’ve heard from mom are those grueling 9 months they endure (not to disparage the condition) and that kids are unsure if they would feel guilty……. I know right?! I don’t want to remember my pregnancy on how severe or not the symptoms. I wanted it to be more than that. Appreciate the kind words, my friend! Hahaha. Of course. We need her to relax right? Very good reasons ! Many future Mum’s are afraid to travel. They only stay at home and that’s it. 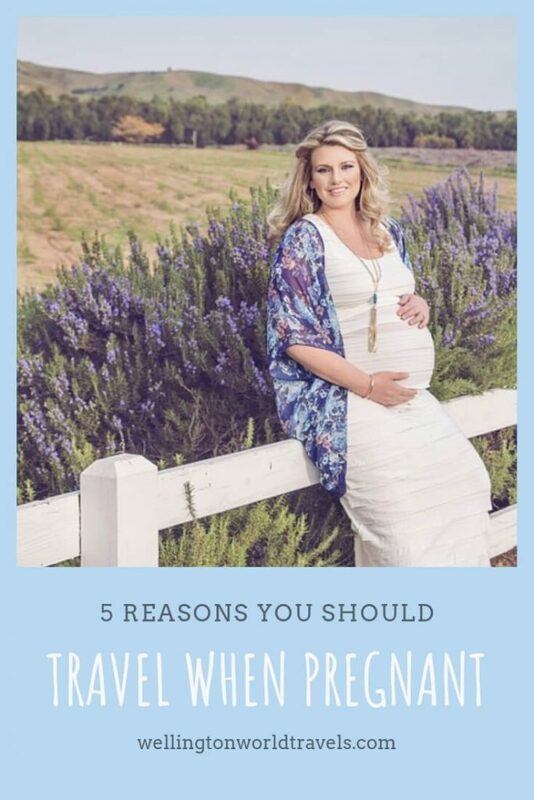 I think this is the best time to travel during pregnancy! Nice to encourage pregnant women to travel when permitted. Great benefits. Fantastic post! I often avoided travel when pregnant but I love this perspective!! Nice perspective. I hibernated when I was pregnant. This is true. Traveling will help our mothers to relax and forget about the difficulties of carrying the pregnancy. Excellent tips!